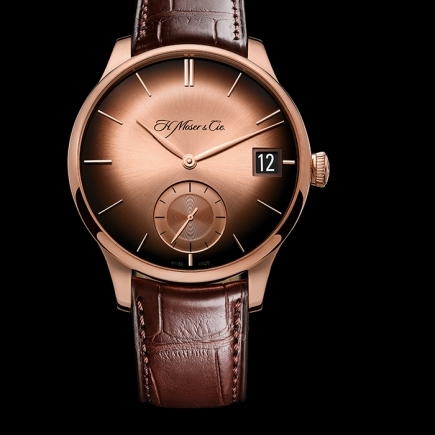 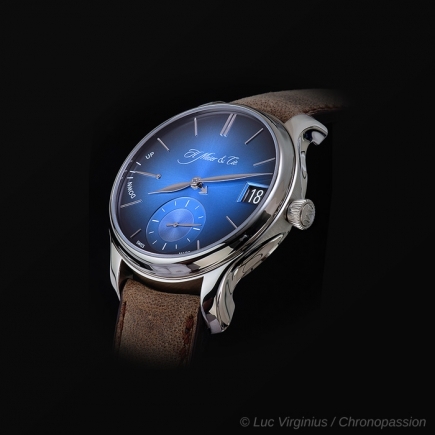 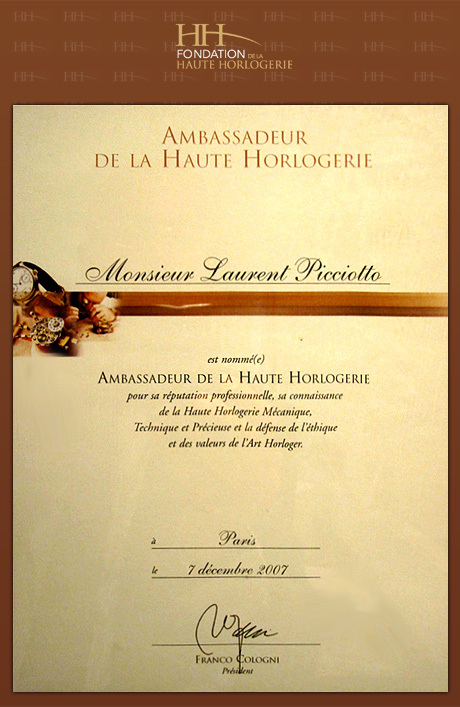 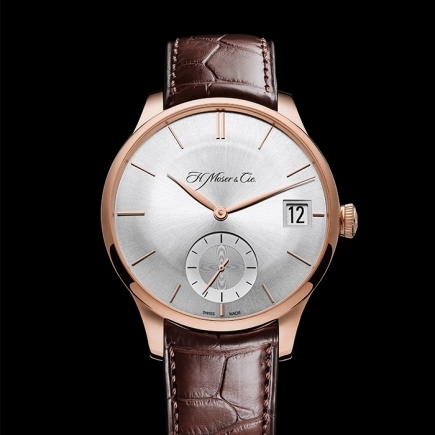 H Moser & Cie | 1'000'000 € Tax inc. 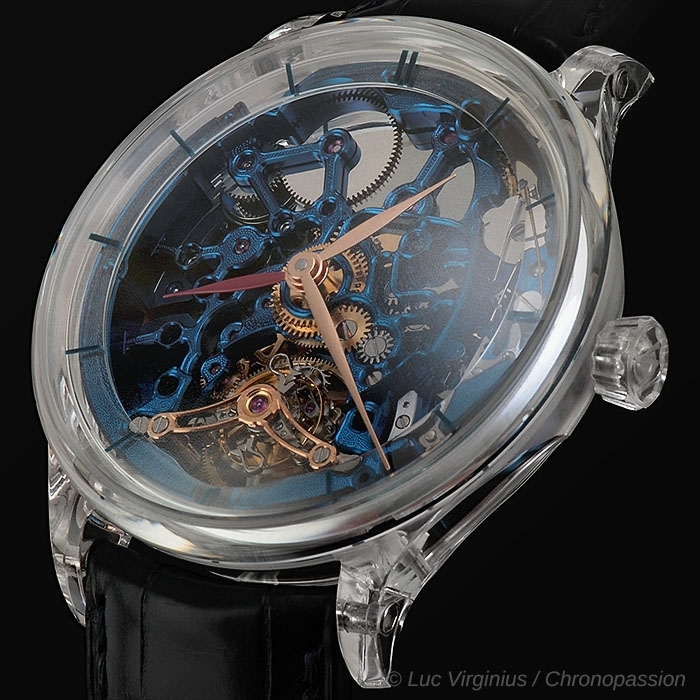 In 2015, on the first day of Baselworld, Laurent Picciotto of Chronopassion fell in love with the Venturer Tourbillon Dual Time Sapphire Skeleton by H. Moser & Cie. and acquired this stunning timepiece worth 1 million Swiss Francs. 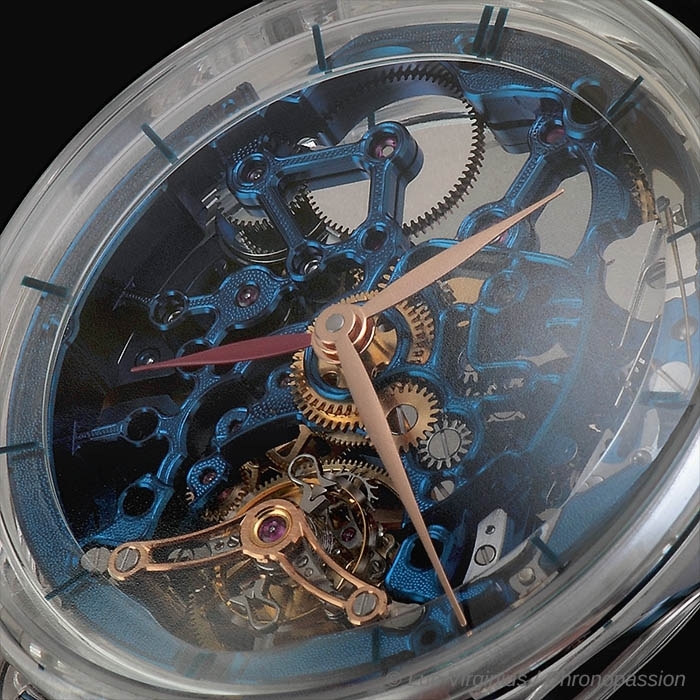 This masterpiece featuring a new skeleton movement, a case made entirely from sapphire and a 3D printed strap was a unique piece. 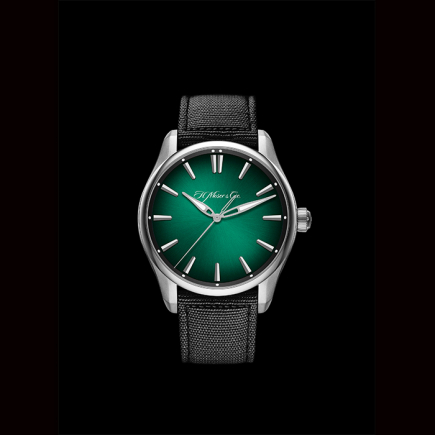 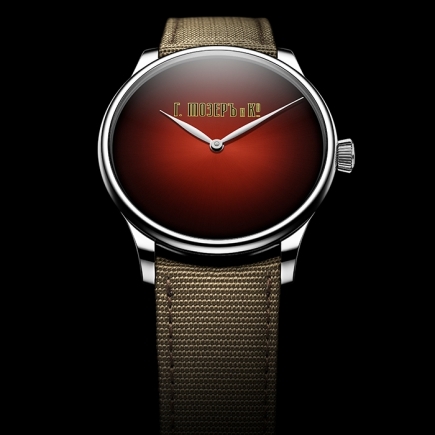 But "one was not enough" for Laurent, who commissioned the Schaffhausen-based Manufacture to create another model with a sapphire case, but this model was to be even more daring. 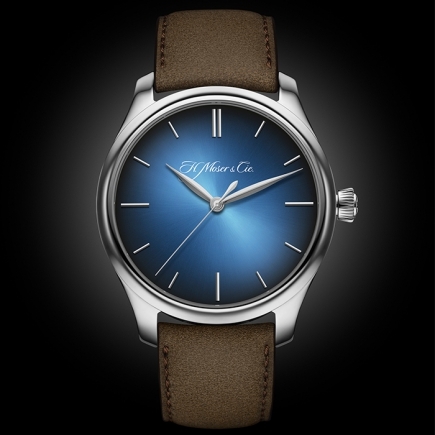 The case for this second model, created once again entirely from sapphire, comes from the H. Moser & Cie. Venturer Collection. 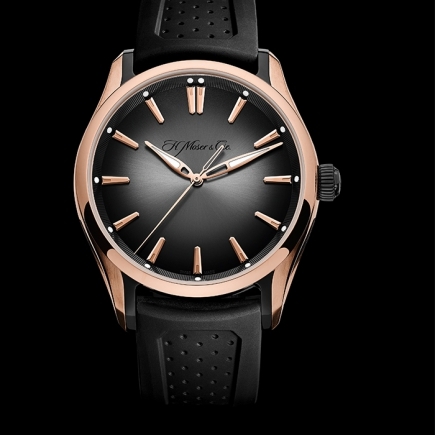 The finish on the case flanks with its unusual shapes, the exquisite bezel, the curve of the dial and the crystal, the proportions which echo the convex forms of the 1960s – the beauty of all these features is amplified by the transparency of the sapphire. 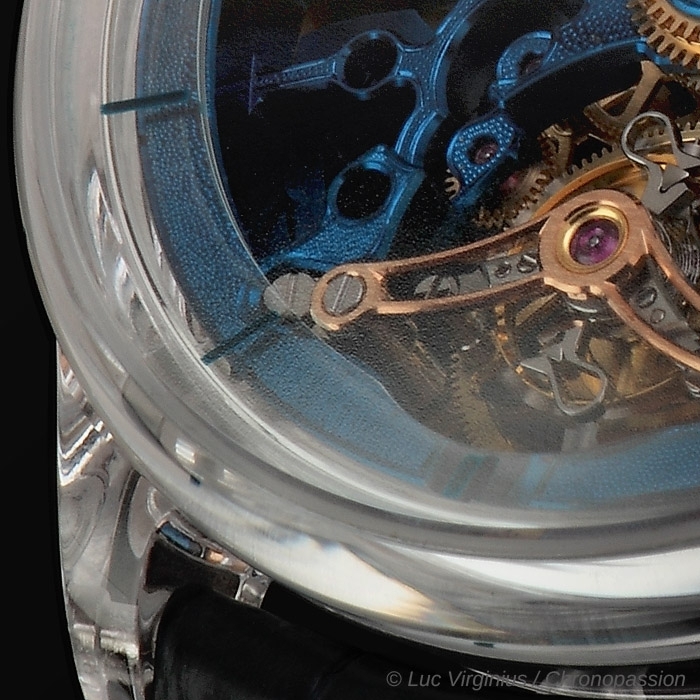 The sapphire case highlights the beauty of the HMC 803 automatic calibre. 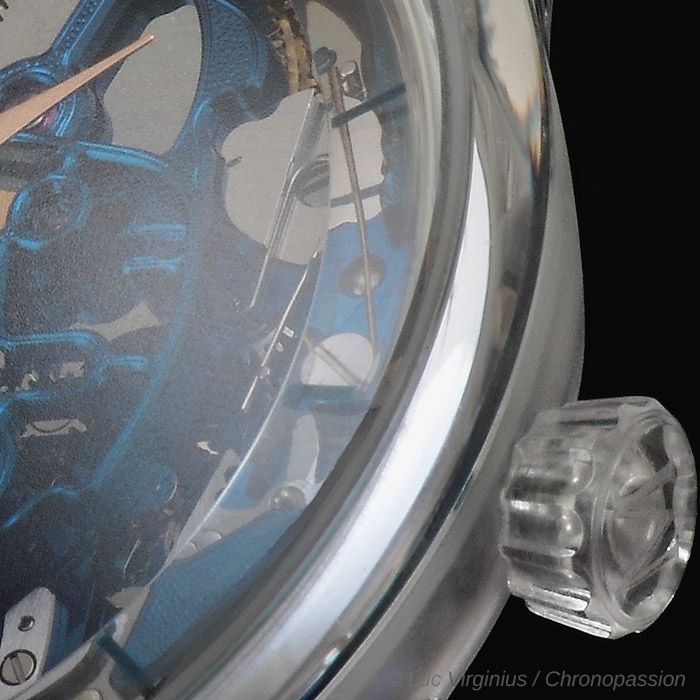 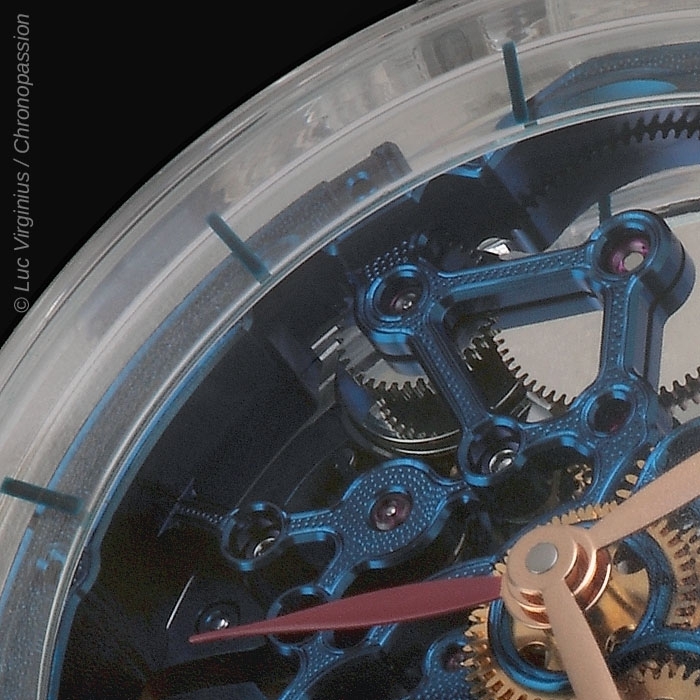 Entirely skeletonised, this movement was blued by CVD, a chemical vapour deposition process. 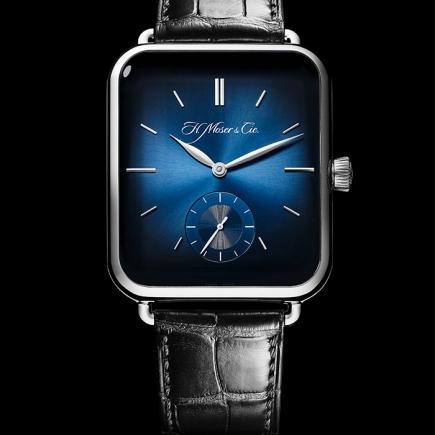 The unexpected design combines the modern architecturalshapes of the bridges with a nickel silver movement and a blue finish associated with traditional haute horlogerie. 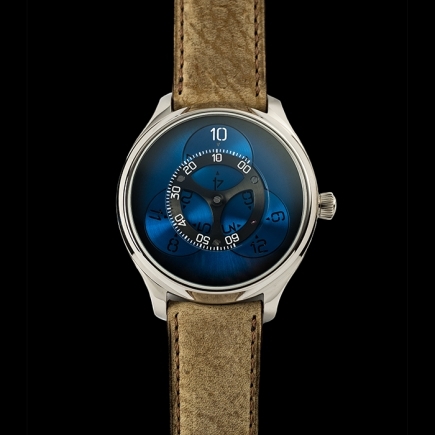 Framed by the Venturer's ultra-thin bezel, the hand-finished movement is open to full view through the sapphire flange bearing the hour indices. 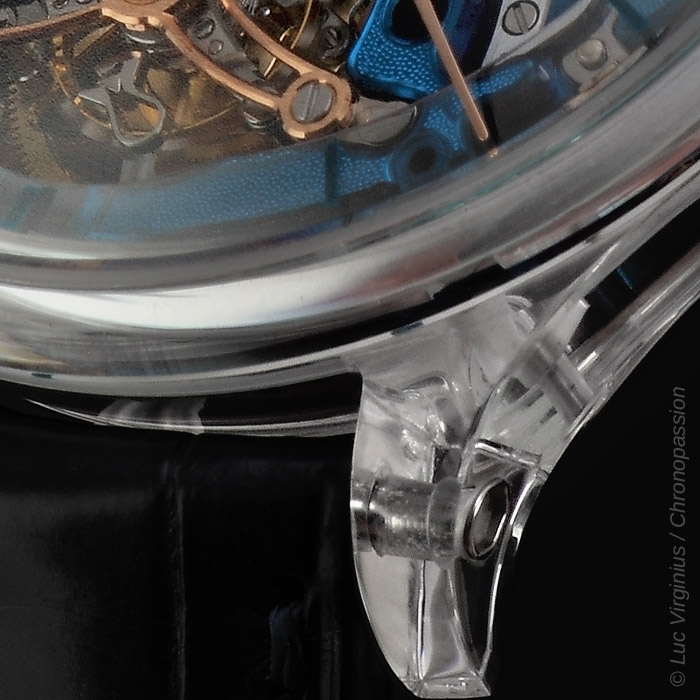 The long, tapered hands are created in rose gold, as is the main bridge of the tourbillon, arching broadly across the cage. 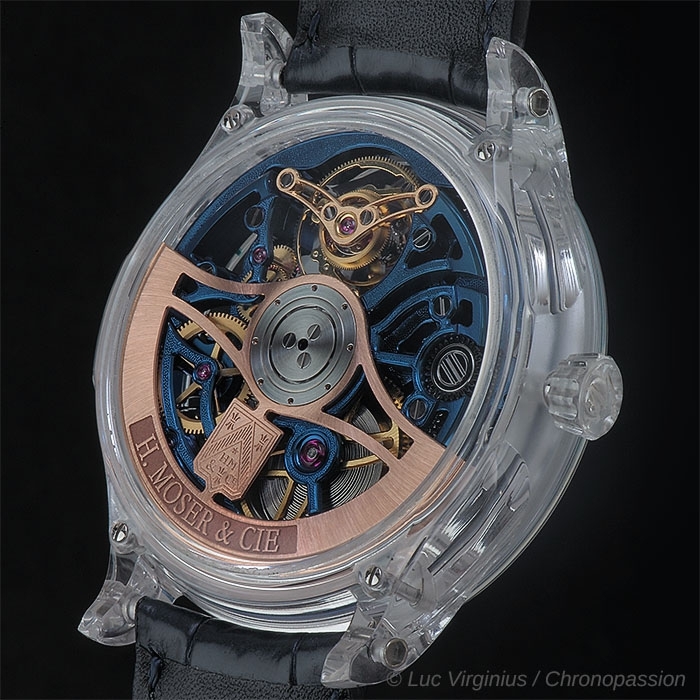 On the reverse side of the watch, the bidirectional rotor, made from 22-carat solid red gold, is also engraved and openworked. 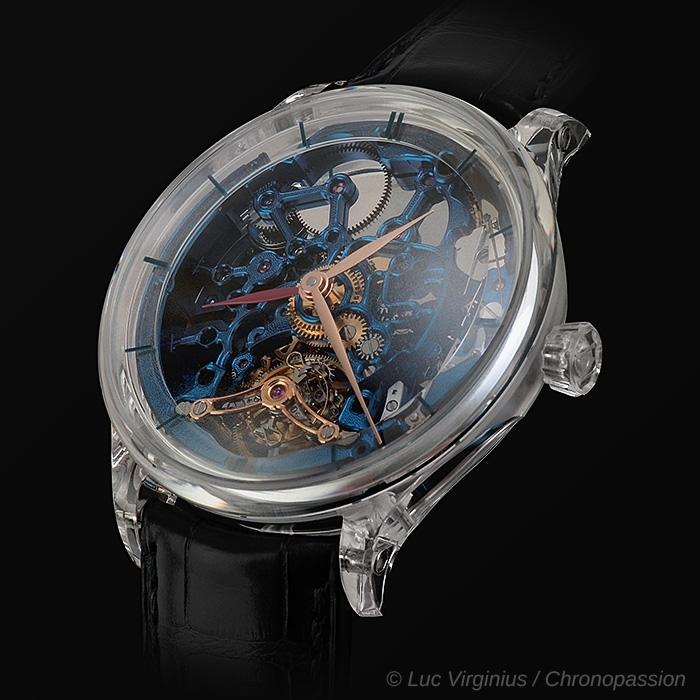 The Venturer Tourbillon Dual Time Sapphire Blue Skeleton is equipped with a second time zone, indicated by a red, rhodium-plated hand, which is concealed beneath the main hour hand when the function is not in use. 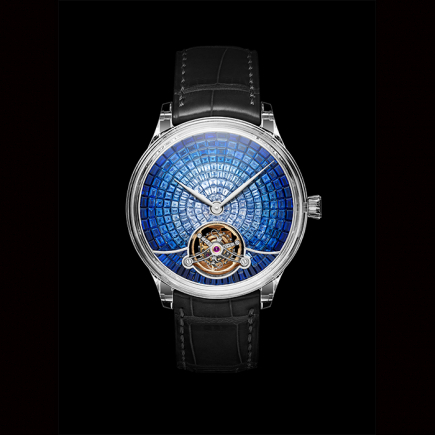 It also features an interchangeable minute tourbillon equipped with an original Straumann Double Hairspring®, a stroke of genius for a watch that is truly a part of the history of time, and which transcends the advantages of a simple tourbillon. 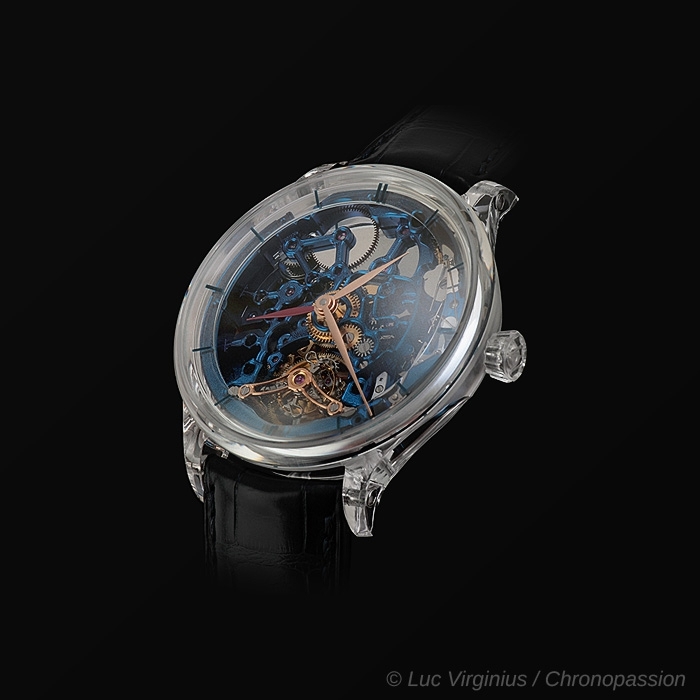 The Venturer Tourbillon Dual Time Sapphire Blue Skeleton is an exceptional timepiece: a daring and innovative model with a provocative design. 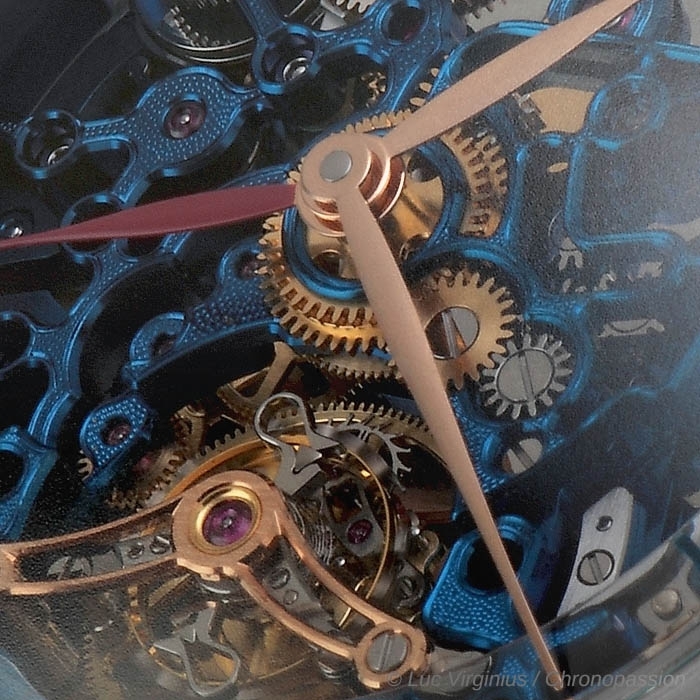 Never has a tourbillon been any less conventional. 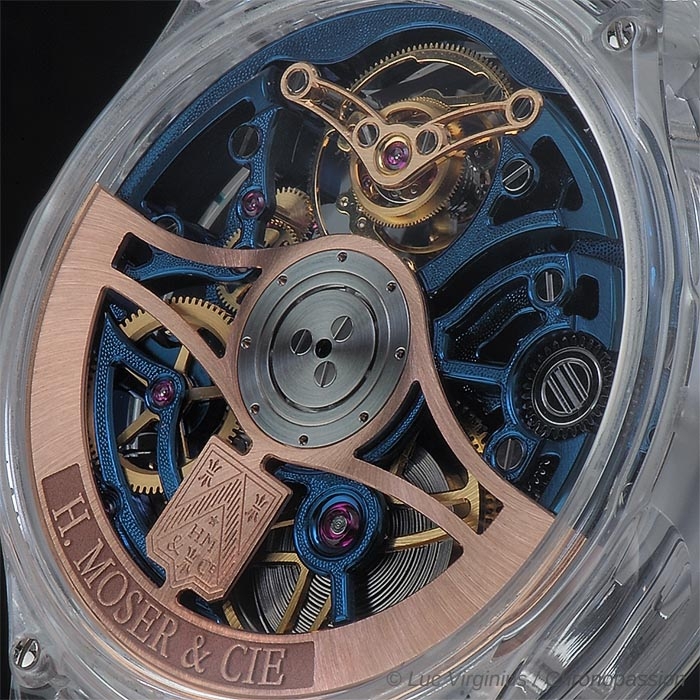 Playing with surprising contrasts, H. Moser & Cie. showcases watchmaking's most traditional and exceptional complication, the tourbillon, with a contemporary twist that is also nuanced and brings lightness.